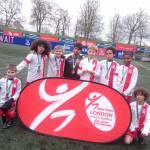 Wandsworth primary schools did fantastically well in the London School Games Spring finals with all 6 schools finishing in the top five positions out of a possible 32 London boroughs. 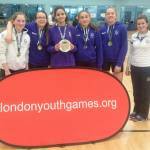 Wandsworth Volleyballers lead the way again! VOLLEYBALL GOLD & SILVER FOR WANDSWORTH Wandsworth schools continued their remarkable run of success at London School Games Volleyball finals at UEL Sportsdock on Friday 4th March.